You can invite people into your account from the People & Groups page. You can also resend welcome emails, passwords and delete users. 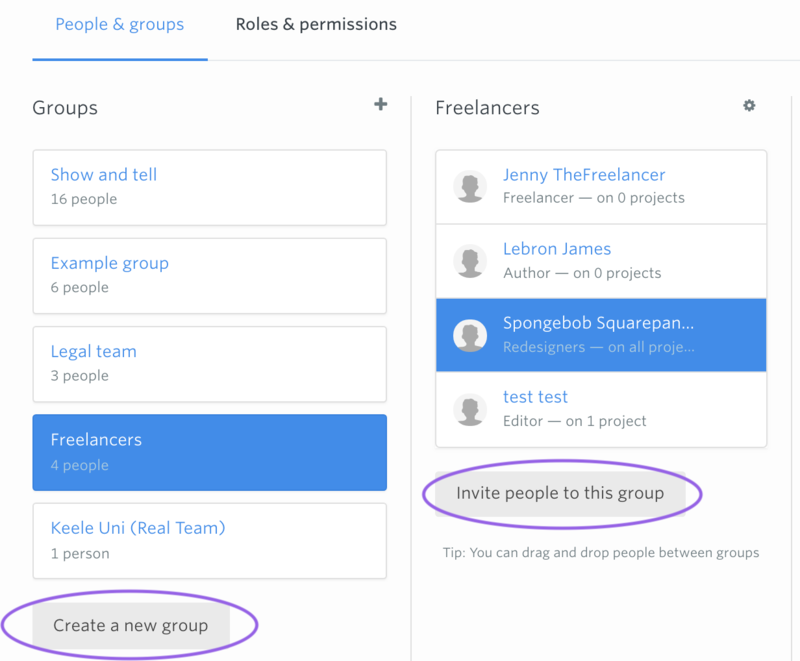 You can invite people into your account from the People and Groups page, where you can manage everyone in your GatherContent account. You can choose an existing group you would like to add people to, or create a new group. Enter the email address of the people you want to invite, and choose what role they should be. 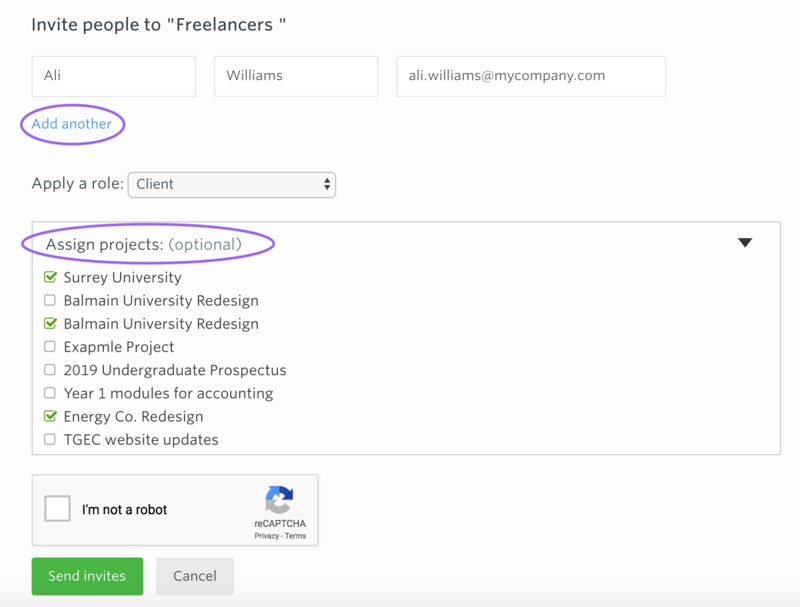 Once that's set, you can also select their project access. Press 'Add another' to add more people to the group. 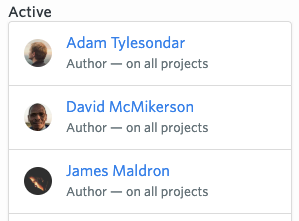 Tip: You should add people with the same role here, as you can only select one role on this page. Once you press 'Send invites', your invitees will receive an email which includes a link to set up a password, they will then be set up and can begin working on content. You'll be able to keep track of which users have not accepted their email invite. They'll appear under a header called 'Pending invite'. Users who have already accepted their invite will show under 'Active'. You can learn more about a user's role permissions here. If a user has not yet accepted your invite (and still appears as 'Pending'), you can re-send their welcome email. Click on the group and select the user to resend a welcome email to. Then just press the resend welcome email link. In the same location as the method above, select 'Send password reset email' on the person's profile that you want to reset. In the same location as the method above, select 'Delete this person' on the person's profile. Be aware that this is irreversible and will permanently delete their profile.